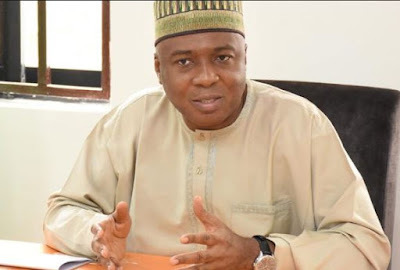 Senate President, Dr. Bukola Saraki, has said that contrary to insinuations, the Senate had no pre-meditated plan to reject Ibrahim Magu as chairman of Economic and Financial Crimes Commission (EFCC). Saraki said this while speaking to journalists in Abuja on Tuesday. He insisted that the screening of Magu, which led to his rejection, was transparently done. “I think there is a lot of misunderstanding and blackmail and all is not in the interest of democracy. “The rejection of candidates presented to the National Assembly is a process. It is a process that is not restricted to the EFCC chairman. “It is a process that has to do with the Governor of Central Bank, Director-General of Lottery Commission, Electricity Regulatory Commission and other relevant agencies. “We have approved many people from the executive and we have rejected some and when we reject them, it is not for any personal reason, because it is a process. “Magu’s screening was on a Wednesday when we air plenary `live’. That is to show you how transparent the Senate was on Magu’s confirmation. “We screened him on a Wednesday so that all Nigerians can watch,” Saraki said.